Because we all needed another brown eye shadow palette. Dior has been churning out the quints this year and I'm having a hard time following the assorted collections (pre-fall, not-quite-fall, pre-holiday, almost-holiday, holiday--- who knows what and why). 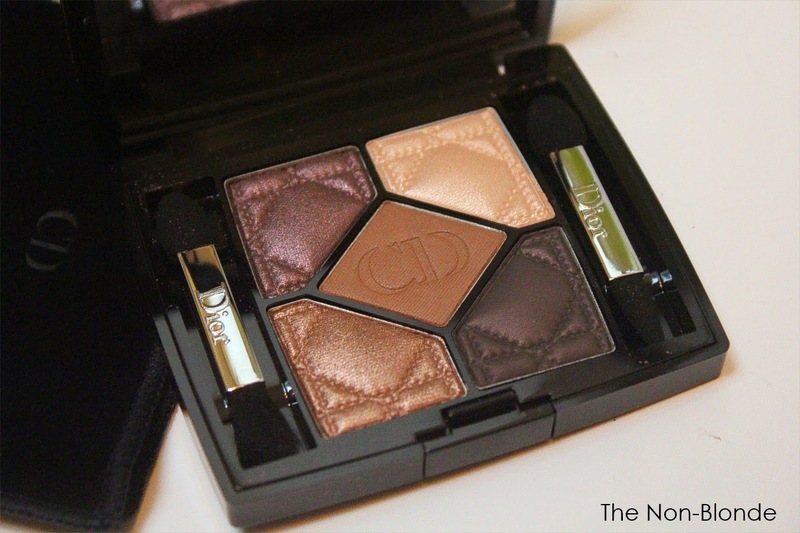 They're all so very beautiful I'm finding myself again and again wishing Dior would have a make-your-own-palette system so we can pick and choose from the best color in each. Cuir Cannage (released a few weeks ago) captured my attention because all five colors are so wearable, making the quint more versatile than most. The five colors in Dior Cuir Cannage go from matte (the middle) to satin, iridescent, and shimmer. 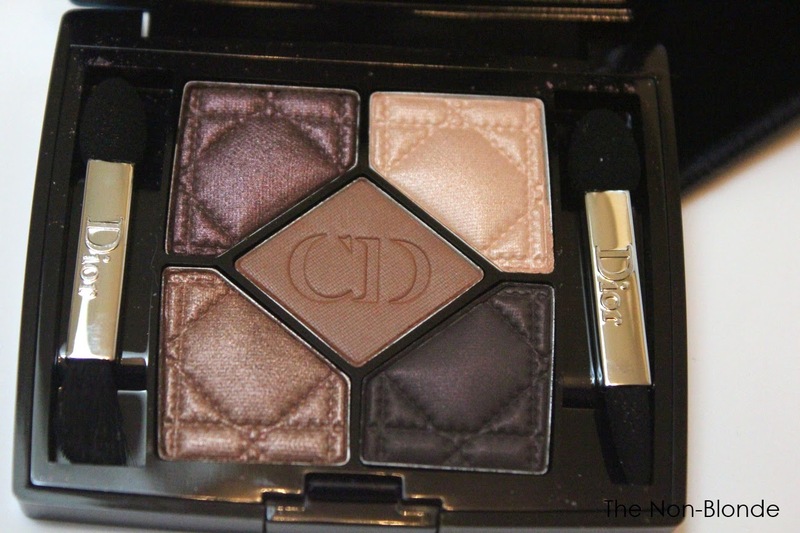 The iridescent plummy brown (top left) has an almost duo-chrome finish, and is among the mot gorgeous Dior eye shadows I know. The other special color is the darkest one (bottom right), a very cool toned super dark brown with an almost purple cast. 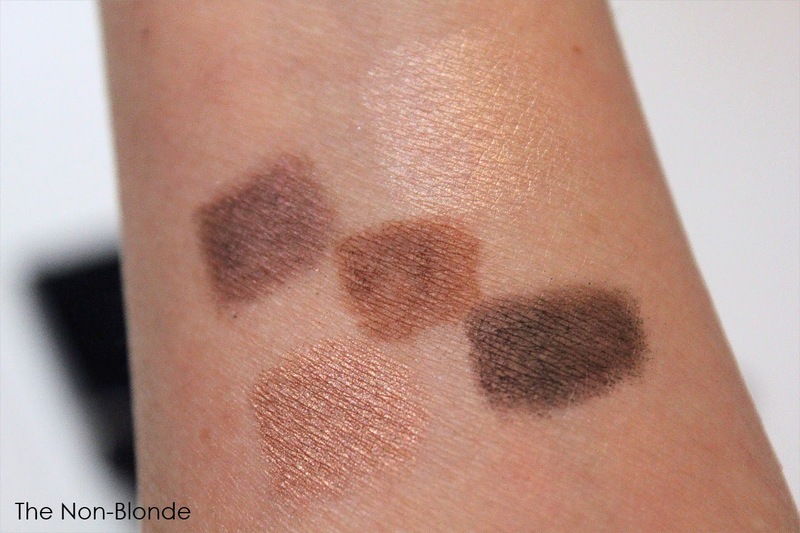 The other three eye shadows in the palette, though easily duplicated, are excellent everyday colors: beige satin, matte medium brown, mocha shimmer. The greatness of Cuir Cannage palette is that it can carry you from daytime to special occasions and the colors can truly be worn together in any combination. Bottom Line: an instant classic. 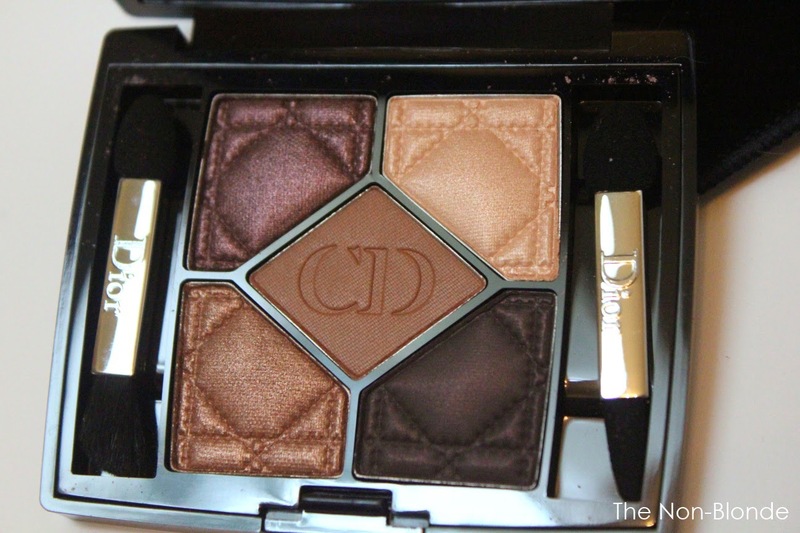 Dior Cuir Cannage 5 Couleurs Eyeshadow Palette ($60) is available from all the usual suspects. Right now Nordstrom offers a 10% discount online (no code necessary). I got both Cuir Cannage and Trafalgar (I was going to pass on Trafalgar until I saw a Dior SA wearing it and discovered that layering the berry shade over the aubergine shade creates a beautiful and very wearable purplish brown) and I'm really impressed with both. They blend beautifully. Dior have really put some effort into their quints lately! I adore my Cuir Cannage and the other five I bought. They're all beautiful (IMHO). +1! I too am loving Cuir Cannage, along with Jardin, Bar, Femme Fleur and Trafalgar. Great fall lineup!